I remember the day I first saw Oliver! in the theater. It was 1968, and a school outing. Also my first Brit-crush. 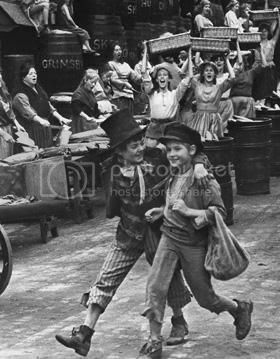 Jack Wild - the Artful Dodger. He was a cutie with wonderful brown eyes and a marvelous screen presence. He was fifteen years old and played ten, maybe. Won an Academy Award nomination for the role. He went on to play Jimmy in H.R. 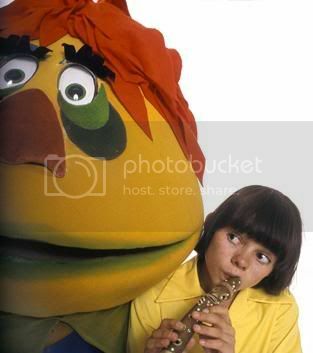 Pufnstuf the following year for Sid and Marty Kroft (producers of weird puppetish creature features). He wasn't everyone's cup of tea, but he was mine, and he passed away earlier this week at the age of 52. He'd had a rough life after such an auspicious beginning, mostly due to his own demons. Smoking took him out - cancer. Yes, I saw that on the news. So many celebrities from years past are dying lately. Gods, he was less than three years older than me. That's frightening.